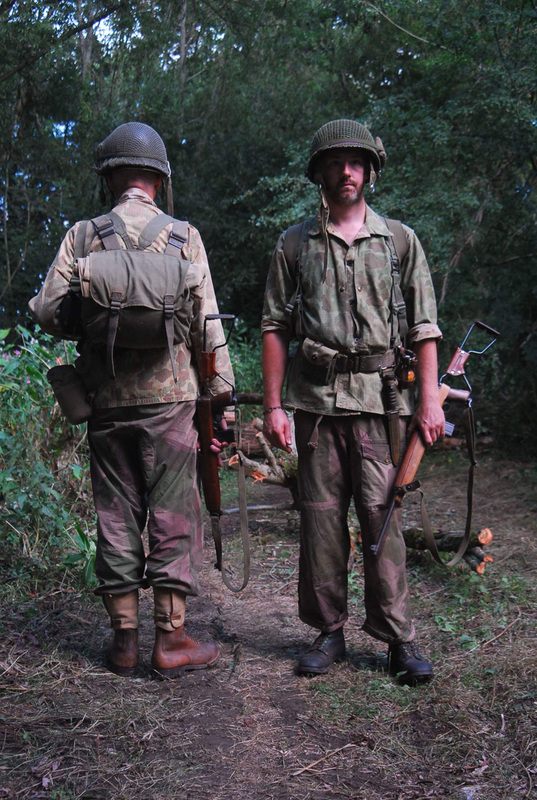 at War & Peace Revival 2018 to write a second uniform study on the 1er BEP, this time in mid 1953.
and fought mainly in the Tonkin region (North Vietnam). to start a search and destroy operation, north of Nha Trang near Tan Xuan and QL26. 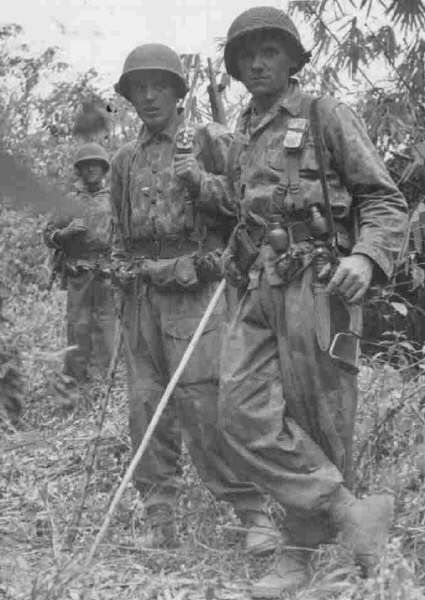 Two Legionnaire from the 1er BEP photographed during operation "Douarnenez "
info thanks to "la Legion Étrangère en Indochine 1946-1956 book, photo from the internet. The man on the left is wearing a USMC M44 jacket while the one on the right is wearing the Army M43 version. Below, recreated photos by members of Rolling Thunder, Indochina section and photographed by Sean Vatcher. 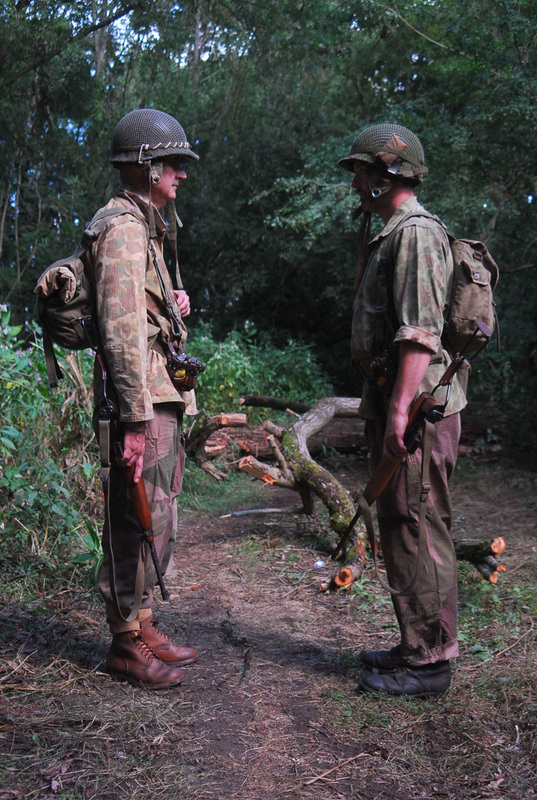 Our second paratrooper on the right virtually wear the same uniform and equipment that the first man. 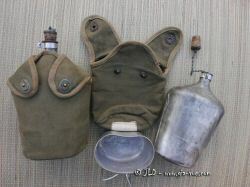 Only difference is the French M51 water bottle, a M41 or M45 brodequin (ankle boots) which can be identified via its reinforcement rivet on the side. 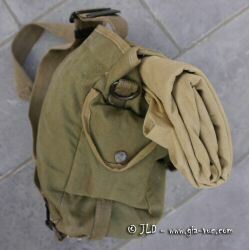 He is armed with the early M1A1 Carbine, no bayonet lug and TAP M51 musette identifiable by the button on the small side pocket instead of the popper. The French Para helmet was WWII US M1c or the M1 with a modified liner which had received the TAP/EO Airborne Indochina modification. 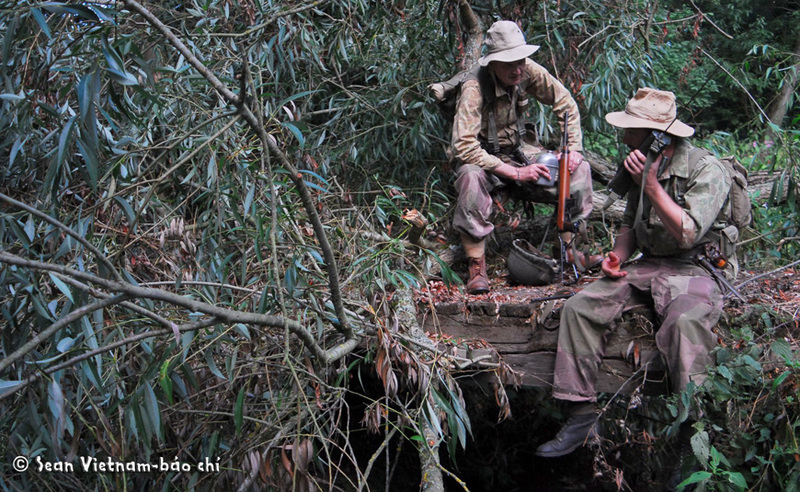 The camo net was the US WWII M43 net with its foliage band. On the photo above, the band holds a US WWII Carlisle dressing which was much preferred due to water resistance. 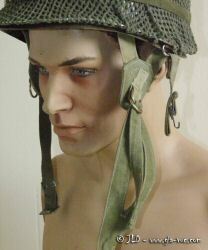 The white cord looped around the foliage band is a piece of parachute suspension cord which was used to secure the helmet to the webbing during parachute jumps. 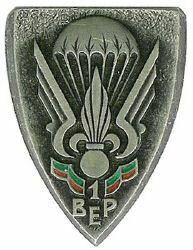 In fact the TAP/EO modification were not that strong as made of standard cotton cloth and not webbing so, unfortunately they sometimes broke during parachute jumps resulting with the loss of the helmet. With the cord, the helmet would stay suspended to the webbing to be retrieved once on the ground. 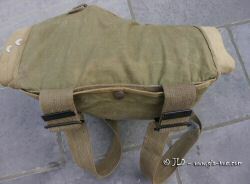 Re-enactors notes: genuine war time TAP/EO converted helmets are extremely rare and command very high prices. 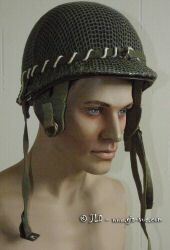 Conversion kits and converted post war M1 helmets are available from specialised dealers. Genuine nets are a little more difficult to obtain but repro are available. Genuine First-aid bandage are very common. 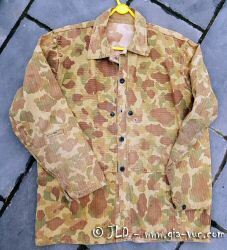 US WWII, USMC P44 camo jacket . The USMC P44 had an early late construction, with some design improvements on the later Coat which consist of horizontal buttonholes and the male pouch snaps being reinforced by heavy web tape rather than HBT cloth. Also they had a greener tint. 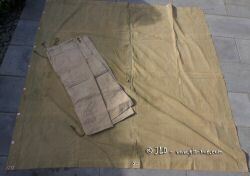 The windproof came in a two-piece suit: smock and trousers, the Windproof Camouflaged Smock was intended to be worn as an oversuit over the Battledress. 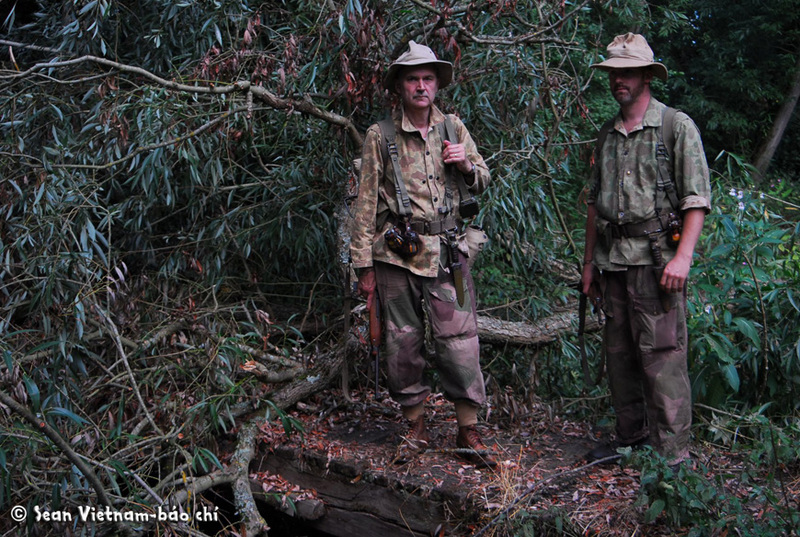 The pattern of printed camouflage was unique to this form of dress and it became popular with the Special Air Service and various commando units. 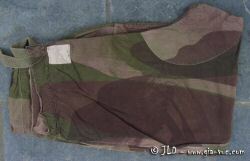 It is sometime referred as SAS smock by collectors. This was know to the French army as "peau de saucisson" "sausage skin" due to it's feel. They were used as issued or received modifications: the trousers were sometime remodeled with a Zip or button fly and pockets were some time added or moved. 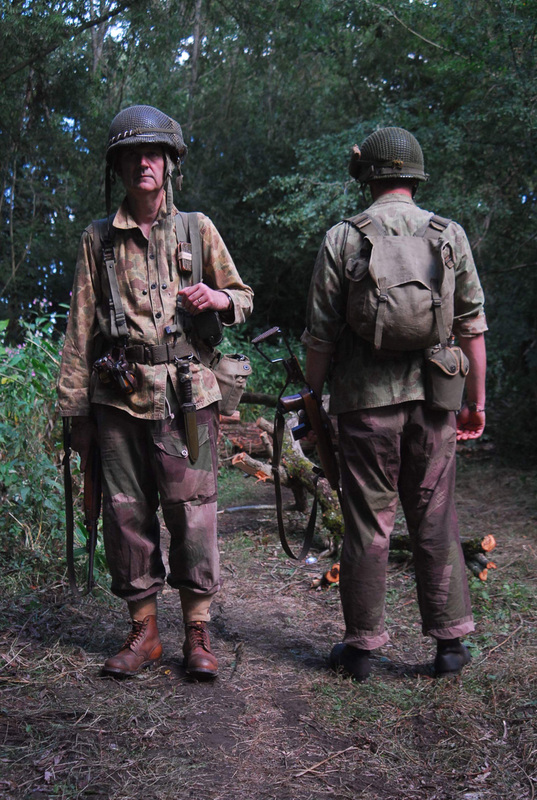 Re-enactors notes: Genuine British War time Windproofs are commanding high price now, luckily fairly good reproductions have been available for re-enactors and even collectors. As far as I am aware, there is 3 manufacturers of them, Panzerfaust, What Price Glory and Silverman, the last one been a poor replica due to the wrong colour print and heavy material used. some left over from earlier time, ie British and US equipment. 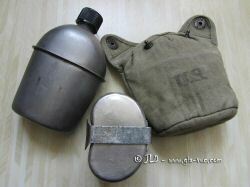 with either the French TTA M51 water bottle or the US M10/M44 water bottle. The M50 belt is the one to get, but is rare. From the late 50's some M50 belts were manufactured in Europe for "Regimental foyer" which can be recognised by the flat metal belt loop instead of the rounded type used on the original Army issue belt. They are a lot less desirable. Buyers must be aware that fake M50 belts have been made from the French M50/53 belt webbing with 50's British web belt buckle and with the flat belt loop. 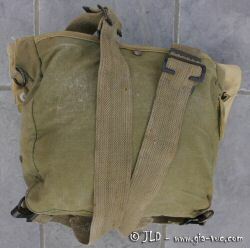 The M36 US WWII web belt would still have been common with the 1er BEP. 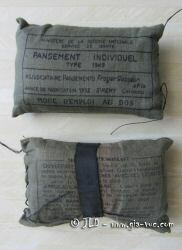 Re-enactors notes: a second and later model of the pouch was made with the standard poppers, these were issued after the Indochina war and are not correct. 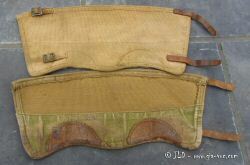 The fighting knife was often carried by the French on the front of their belt as seen in the photo above. so do not use repro, as they are not of very good quality and can be easily spotted! Re-enactors: Original are expensive and rare. 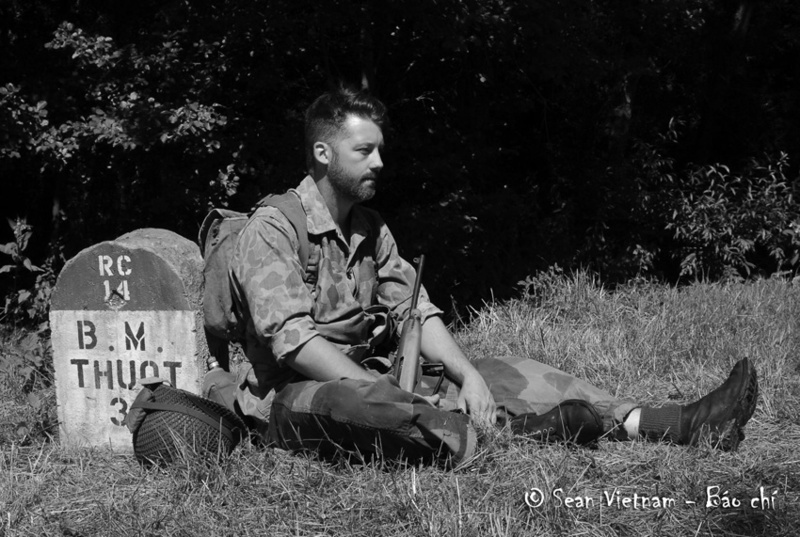 Re-enactors: Original are still can be obtained at a affordable price. fM49 French 1st Aid dressing, bottom one with a piece of inner tube around it. 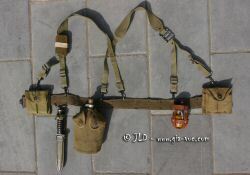 Re-enactors: both are still easy to get and cheap. 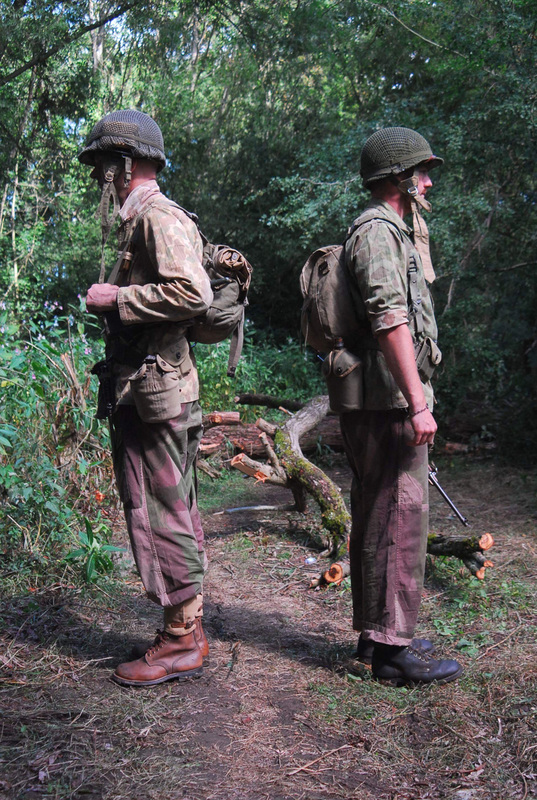 Footwear was quite diverse around 1953, and it was very common to see French paras wearing the Infantry ankle boot with gaiters, (This ranged from the WWI M17 to the WWII M41/M45 Brodequin. 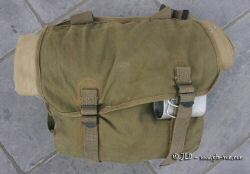 Only a few of the M52 model were sent to Indochina for field evaluation). All the brodequin were in natural leather colour, but soon turn to dark brown then to near black due to heavy application of shoes "graisse" dubbing to keep them in a serviceable condition in the harsh and damp conditions of Indochina. The two separate M52 brodequin showed in the photos illustrate the darkening process. The inset is of the M45, reinforcement rivet. the M52 can also be converted with the addition of a small rivet on the side. 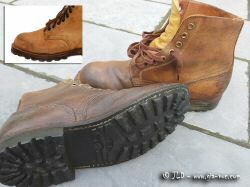 Beware, I have seen some "cut off" French issue "brown M50 rangers boots" sold as brodequin. 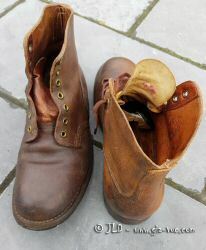 NOTE: the TTA M1950 Ranger boot was not issued in Indochina! 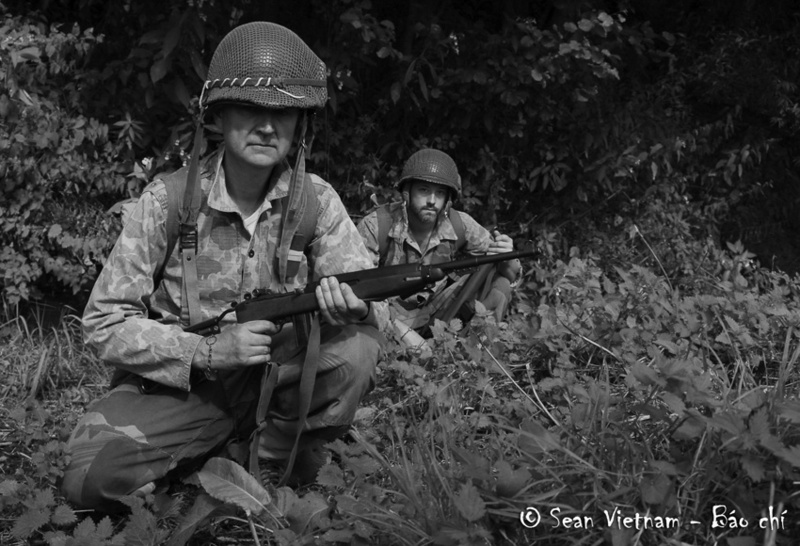 Re-enactors: Original are still around and still affordable. this one is the later model with the bayonet lug and is the airborne model with folding stock.. The M1A1 carbine was well liked by the Para for it compactness and lightness, more ammunitions could also be carried, but the 30 Carbine caliber with its 1990 fps muzzle velocity lacked a little in punch and penetration specially in jungle environment. 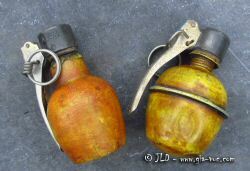 Re-enactors: Original are expensive but good repro can be obtained. French DF37 and OF37 grenades. 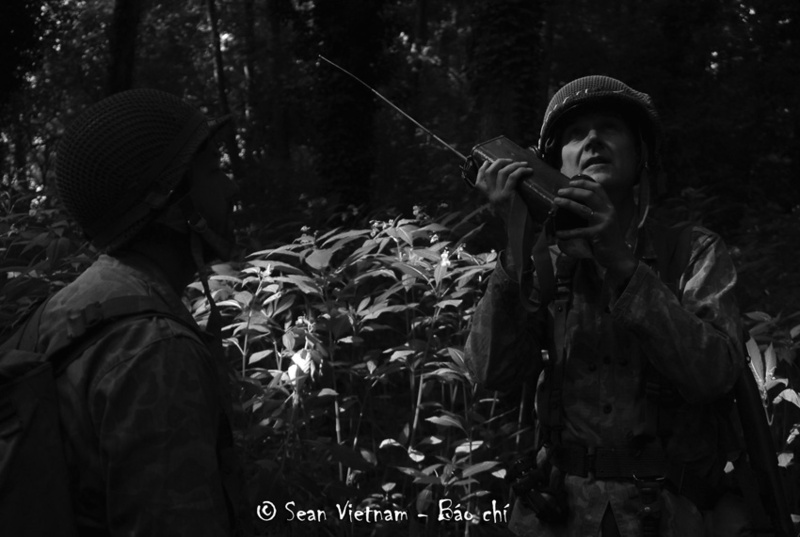 WWII US BC-611 radio (SCR-536) with a range of 1-3 miles, the lesser for Indochina terrain. Re-enactors notes: rare radio to obtain. Please note the equipment and uniforms described here are time specific for the 1st BEP. the RC4 fighting in 1950 or DBP in 1954. Here is the list of our requirements for that specific photoshoot. 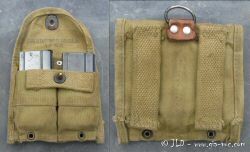 M1 carbine with folding stock with US M1 twin cell pouch ammo pouch.